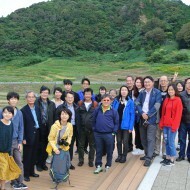 Ishikawa Prefecture has been making extensive efforts to conserve biodiversity and contribute its perspectives from the local level to international discussions. 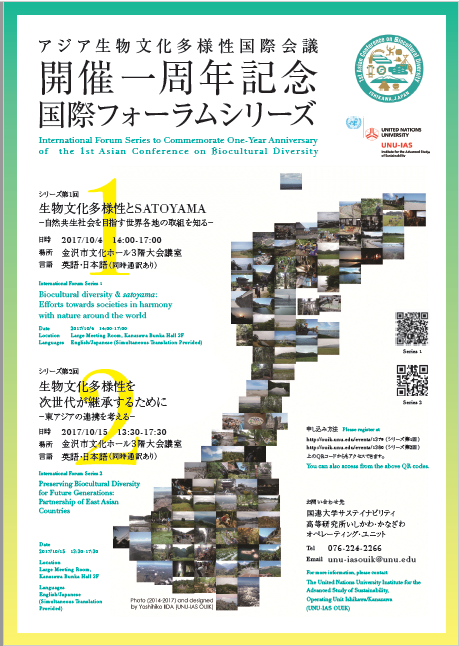 These efforts include the prefecture’s hosting of the closing event for the International Year of Biodiversity in 2010 and the global launch of the United Nations Decade on Biodiversity, both of which raised international recognition on the concepts of Satoyama and Satoumi. 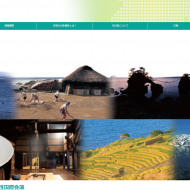 Ishikawa Prefecture’s natural and cultural resources have been highly appraised and became the first Global Important Agricultural Heritage System (GIAHS) in a developed country in 2011. 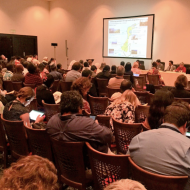 Furthermore, the prefecture is trying to establish synergies among internationally designated sites and intangible heritage within the prefecture, including the UNESCO Biosphere Reserve in the Mt. 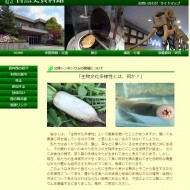 Hakusan region, the UNESCO Intangible Heritage Aenokoto, and the GIAHS site on Noto Peninsula. 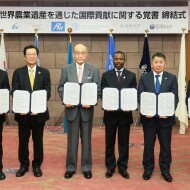 The United Nations University has been supporting the prefecture’s initiatives through policy-oriented research and international collaboration. 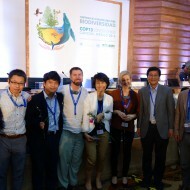 As a result of joint research on the linkage between urban culture and rural natural capital, collaboration was established with the UNESCO-SCBD Joint Programme on ‘linking biological diversity and cultural diversity’. 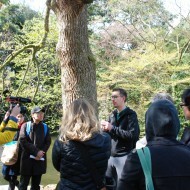 Ishikawa Prefecture not only nurtures biological diversity, but also traditional cultural heritage, and is committed to passing these on to the next generation and collaborating with other Asian countries. 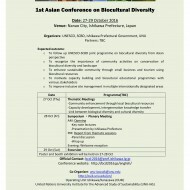 The international conference on biocultural diversity will be good opportunity for Ishikawa Prefecture, the United Nation’s University and the UNESCO-SCBD Joint Programme to exchange knowledge about biocultural diversity in an Asian context and will also constitute an important milestone towards promoting a comprehensive and sustainable conservation strategy for both biological and cultural diversity. 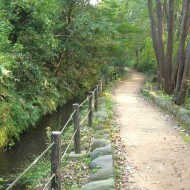 *When you click the link to open the PDF file. 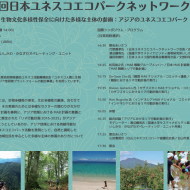 After one year since the 1st Asian Conference on Biocultural Diversity, a series of 2 inernational forums were held to explore the measurements to further promote the Ishikawa Declaration with international initiatives and East Asian partner. 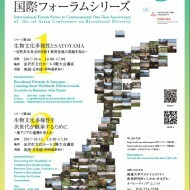 Biocultural diversity & satoyama: Effort towards societies in harmony with nature around the world. 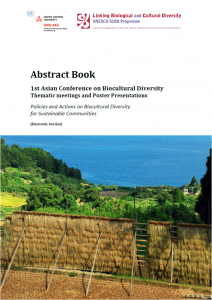 Preserving Biocultural Diversity for Future Generations:Partnarship of East Aisan Countries. 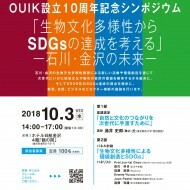 It documents discussions and article contributions by speakers who participated in the OUIK Noto Satoumi Lecture Series held in 2015. 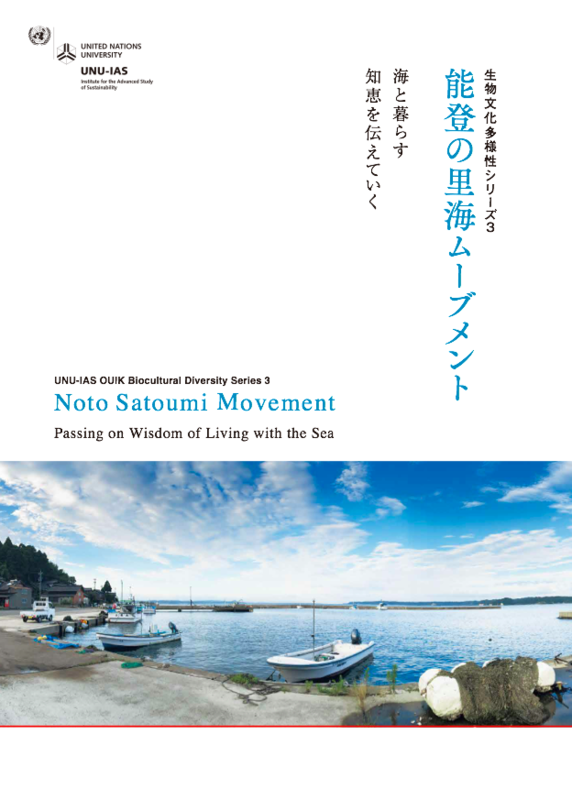 This lecture series highlighted the Noto Satoumi Movement, which emphasizes local, traditional wisdom of living with the sea, and led in part to the Noto Peninsula’s designation as a Globally Important Agricultural Heritage System (GIAHS) in 2011. 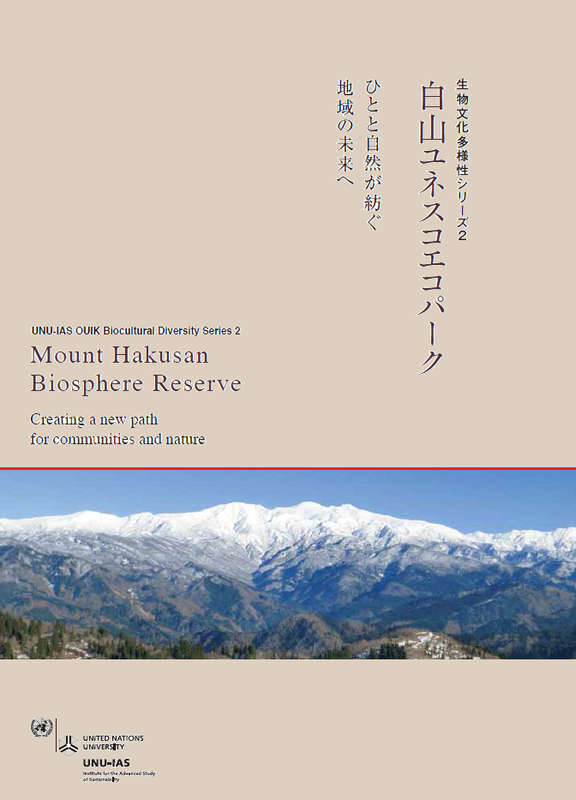 *Note: the ISBN and the page number are different from printing version.